Reader Question: I've been doing some thinking lately about how much I don't care for bridal showers. First and foremost, I'm not a fan of being the center of attention and I think it's really strange to sit in the middle of the room while people oooh and ahh over measuring cups and hand towels (and the whole "personal" shower bit horrifies me). I prefer to be the person making snide comments in the corner, capitalizing on the free mimosas but I fear that will be tough to pull off as the bride. What's more I don't really feel like we need all the stuff. I've lived with my fiance for two years and though it's humble, our home is pretty well furnished. We're hoping to move around some more before we officially settle in somewhere and aren't looking to tie ourselves down with a lot of housewares. What's more, it doesn't make much sense to me environmentally replace perfectly good items and I am sympathetic to the financial burden the shower circuit puts on our twenty-something friends. I'm wondering if you (or anyone out there) has any ideas for alternatives to showers? I've contemplated something like walking in a relay for a good cause or volunteering as a group but I'm not sure how the older women in my life would handle such a radical notion. A huge part of planning a wedding is sifting through what our families/friends/TV shows/magazines/The Wedding Industrial Complex/etc. say we have to do versus what is meaningful and memorable for us. I don't like feeling pressured to do things, especially when those "things" usually involve spending lots of money (which isn't good for the bank account and usually isn't good for the environment). What do we want to keep? What do we want to modify? What do we want to invent? What do we want to throw out? Of course not everyone in our circle of friends or family agreed with every decision we made. My best friend, Andy, was initially very, very skeptical of the self-catering thing. In fact, I finally asked him to step down from his role as Lead Salsa Maker because I didn't want to cook alongside naysayers on our wedding day (at that point, he relented and said he really did want to be part of it). My grandfather rejected the opportunity to be one of the speakers in our outside, non-religious wedding ceremony. My mom didn't understand why we wanted to use the cake cutting ceremony as a time to thank our nearest and dearest rather than feed each other cake. Luckily, none of the little things were deal-breakers for anyone. They all came to the wedding and realized that most of our decisions made sense within the larger fabric of the kind of wedding we weaved together. They realized, "Oh, I get it. Matt and Sara wanted to plan a wedding that represents their relationship because they want to share their values, love, and commitment with their closest friends and family. I'm here because I'm part of that circle." When I read about your situation, I understand your urge to create experiences that reflect you and your partner, rather than try to mold yourself into the people everyone thinks you and your partner should be. Some people want a traditional bridal shower; others don't. Examples of the first kinds of decisions include things like types of flowers (or--gasp--the decision not to have flowers at all! ), the color of your wedding dress (or your decision to wear shorts! ), the formality or the format of the food you serve. These decisions can piss off your friends and family because they have their own ideas about what your wedding should be. Examples of the second kind of decisions include things like asking your friends and family to hike five miles uphill to the ceremony site and not providing any alternatives for individuals who cannot physically handle the challenge. Or holding your wedding on a remote island that only offers primitive camping for accommodation. These decisions literally prevent your nearest and dearest from being part of your celebration. They undermine the real purpose of trying to bring friends and family together in the first place. I think distinguishing between these two types of decisions is essential. I also think it's essential to get to the real purpose behind a tradition when deciding how to alter it. So, what is the real purpose of a bridal shower? I'm actually afraid to google that answer. I'm afraid it goes something like this: "The Wedding Industrial Complex invented the 'bridal shower' as a way to increase the number of goods that had to be purchased for the 'wedding experience'." Whom do you want to surround yourself with at your pre-wedding party? Once you have all those people in mind, think about what kind of experience would be enjoyable to all of you (or as many people as possible!). The tricky part of this question is remembering that people might enjoy something in the end that they didn't think they would enjoy at the beginning (like volunteering). Bowling! I think old-school bowling parties are hilarious. Ugh...I'm already running out of ideas! 2000dollarwedding kindred spirits, please help! The one other piece of this puzzle that I'll mention is that a lot of showers are planned by friends or family members. In that case, showing appreciation and gratitude for whatever type of shower they put together may outweigh your desire to have the kind of shower you really want to have. And, just like I mentioned earlier about subjecting our guests to things they don't think they're going to like, "People might enjoy something in the end that they didn't think they would enjoy at the beginning." I'll be getting married next year. I also do not envision myself sitting at the center of attention and opening presents. i am thinking of doing a combination "bachelorette party/wedding shower". I envision my cloest gal pals and I going on a tour of the Bluebell Creamery in Brenham, TX (I have always wanted to do this!) and then that evening I thought my mom could host my friends and her friends that I am close with for a BUNCO PARTY! I've never played bunco but hear it's really fun, silly prizes are involved, we can just do pizza and margaritas and no presents allowed! I see this as a chance to celebrate all the women that are important in my life and I can see no better way to do this than with games, laughter and ice cream! I can't even comment on the bridal shower scene yet (too far away to think about) but I am having more of a wedding location meltdown. Sara, how did you and Matt decide on the location - did you two just decide and hope that people could/would travel...or did you discuss those things with your fam before you established your location? A big WORD to the last paragraph - to be gracious no matter the outcome I think is paramount. I've always liked the idea of recipe showers - if someone insists on throwing something for you, in lieu of gifts see if they can ask guests to bring their favorite old family recipe(s) on a card or printed page to make a book of tried-and-true best-loved foods. I think a lot of the energy behind bridal showers is the impulse to GIVE something, for family members and friends to feel like they have some role in "setting up" the couple for their life together. You could definitely have a shower focused around doing things together (like hiking, bowling, movie trivia, etc) but if you feel like your particular group of family and friends is into the giving thing that might be more tricky to pull off. I love the idea of asking people to give recipes. I've heard of book showers as well. If you're a poetry person, you could ask for a poetry shower. Oo, or a song shower! Everyone brings their favorite mp3 and you take 'em all home on a flashdrive at the end! Okay, I'm a geek, that wouldn't work for everyone. If you're into crafts, you could have a yarn shower or a fabric shower or a paper shower. You could have a "pamper yourself" shower and everyone could bring body lotions and face masks and massage gift certificates. Ooo, or gardening supplies! A seedling shower! One thing I saw someone do once for a baby shower is ask everyone to bring a bead that symbolized something about what they wanted for the baby, which might be really nice and meaningful for a bridal shower. My point is that I think there are a lot of intangible or lower-impact gifts you can ask for. And I totally, totally agree with Sara that an important part of the shower conundrum is that it is a gift, and any suggestions should be given in the spirit of gratitude for hosting any party for you at all. Traditional showers make me feel pretty uncomfortable too. Also I have never really liked attending them, so I don't want others to suffer if they feel the same. One idea I had was to take all my gal pals to a paint your own pottery place. I would pay for the pots, we all paint them, then I could use their art for decorations at the wedding. I don't know that I am sticking with this because I think we are now avoiding vases/flowers on the tables all together, but I still think it's a nice idea! A lot of my friends are fresh out of college and with so many of our friends getting married right now, my bridesmaids and I decided to skip the traditional shower and go out to a dinner in my honor to relieve the financial strain. I still had the traditional kitchen stocking shower with my mom and her friends, but it really wasn't all bad. I was very skeptical at first and we did receive some unnecessary stuff, but in the end it was a special bonding time with older ladies I hadn't seen in a while, who were happy to help another bride like they had been helped long ago. I just wrote a post for my Friday "Charity Idea" feature that I do on my blog (because I really want to use our wedding as a force for good), and one of the ideas I had as an alterna-shower was to sign up for the servathon - www.servathon.org - which is happening in DC this weekend - but any kind of volunteer event where you can work with your friends is a really good way to get to hang out, have fun, and do good. 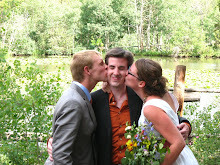 Check out www.weddingfortwo.blogspot.com this Friday for the full post. I really love the idea of doing an afternoon of volunteering instead of a shower - it doesn't cost anybody anything, and its a great way to give back. You could do a BBQ or picnic afterwards to celebrate, and nobody has to wrap you in toilet paper. Do what you and your friends like doing together. I've always been puzzled by wedding showers because you get presents at the wedding too. Recently, a friend told me that she heard the original purpose was for the bridal party to meet the family. Hmm...not sure about this, but it's far from what we have today. Raise your hand if you love miniature golf! @ Anonymous: Oh, me, me! In fact, I've got two hands up. For my first wedding~many, many years ago~I had a recipe shower. It was great! Everyone brought a recipe or two and a couple of ingredients. I still use some of the recipes 20 years later! anyway! the shower idea is that everyone invitee recieves a time on their invite and brings something they think will correspond to that time. apparantly, some of the gifts get pretty funny! I'm so glad you did this post!!! I am getting ready to get married for the third, yes, third time. (divorced once, widowed once) I am working hard to keep it simple and economical, and still be special. It's nearly impossible to plan a wedding without getting trapped by the bridal industry. My fiancee has a very large family with a lot of women, most of whom I've never met. I'd love the opprotunity to meet them and spend some time chatting BEFORE the actual wedding day. I don't want or need a "shower" at all. I'm 37. I have a decent job. I've lived in my own house for 9 years. I've got my own junk. lol I just want a way to spend time getting to know everyone over some coffee and cookies without asking someone ele to do the work and foot the bill. Before I found your blog I made a post on the knot asking for shower alternative suggestions with no gifts and was bombarded by the "wedding machine". Mostly what I got was mean snarky comments about how tacky it is to plan your own shower and how it is rude to even mention gifts at all. I wish more people thought of weddings as a time to be surrounded by your closest most loved friend and family members instead of the cash cow that they have become. I have had three showers (I find this a little ridiculous but they were organized by coworkers and our parents' friends). None of them invited games, and we didn't even open the presents at one. I think all of the above ideas are fabulous and sound like actual fun. You could always have a cocktail party and call it a "meet and greet" or "NOT-shower" to let people know the purpose is celebrating your upcoming marriage and getting to know one another, not gifts. I've been asked several times lately what "kind" of shower I wanted and have had no idea what to say! I didn't even realize there were "kinds" until recently! But a friend had one recently that I thought was such a neat idea, and would be perfect for a couples shower! 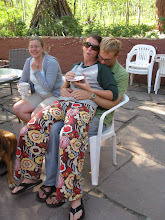 Her friends gave her a "Something to do in the first year of marriage" shower! Gifts ranged from things like cookbooks and some kitchen gadgets to cook together, all the way to movie and mini golf passes! May not be what you're looking for, but it could be a compromise for the people that feel the need to give you a gift. And for the couple that already has all the "stuff" they need, I think things to DO together are great gifts- and make for some great memories! Just think... 6 months from now, her and her husband will go ride bumper boats together and then be able to call up Aunt Edna or Granny or whoever and tell her what a great time you had on your date, thanks to her toughtful gift! I was a little freaked out by the prospect of a shower, but it turned out to be a wonderful time for me to spend with my family and talk wedding! 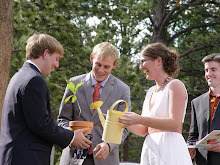 The shower had a garden theme, and I really encouraged people to give me cuttings of plants from their own yard. Now my yard is slowly getting filled with flowers that were passed down. Some even from my late grandmothers yard! Posts like this one make me adore you. Without reading the comments above, it is my understanding that a bridal shower was hosted for 2 reasons - 1, to furnish a household with necessary items that a young woman living with her parents would not have had. Things change, now most people have lived on their own or with their future husband/wife, but not so 70 years ago. Also, a bridal shower was often (and still is, in many cases) the first time the women of the bride and groom's family might meet. One is supposed to have all the women from both families invited to bridal showers, as a get-to-know-you time. I agree with this. I think a great alternative would be a picnic or a luncheon. I feel the same way though. I don't want to be the center of attention. It's about us, not me. I don't know how to do it the same way with our ceremony, because I don't want to walk down the isle. doesn't mean I don't want my dad to give me away, I don't want everyone staring at me. I'm getting serious anxiety about this. any ideas? A couple of friends of mine had a joint shower (for both of them, not just her) and it was a bar theme. They had lived together in a house they owned for years so housewares weren't needed. Instead everyone brought a bottle of liquor or bar accessories to stock their bar. It was more organic feeling since it was couples and there was less fake oohing and aaahing at stupid dish towels. It was a lot of fun and really unique. They're still opening bottles from that night 6 years ago. Sometimes people attending your wedding (or shower) just want to give you a gift of some kind. Just chill out and let us give you a gift. Anonymous re:folks just wanting to give gifts: I don't think anyone here is saying they don't understand that impulse. 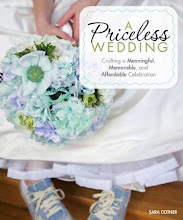 But everyone is in a different situation in life, and I think those of us who have already established households or live in small places or who simply want to cut out the "stuff" aspect and emphasize the "community" or "family" aspect of a wedding are looking for alternatives. In my case, our apartment is already literally crammed to the brim. We don't want for anything except time to spend with people we don't see often enough. So I think the respect and understanding of each individual situation should go both ways - I can respect the gift-giving impulse, if you can try to understand our position and see that there are other types of "gifts" (time, recipes, fun outings together) that can be given instead of physical items. I think that's the point we're all trying to get at here. Maybe I'm reading this the wrong way, but why would anyone _prefer_ to go to a bridal shower to make snide comments and score free liqour? Why do you even go? Talk to whoever is throwing you the shower (since hopefully you're not throwing it yourself) and let them know how you feel. Tell them you don't really need anything and go from there. What I got was an awkward, sad little party where I got to plaster on a fake "happy smile," and play stupid games, and open presents like you did at elementary-school birthday parties. Nobody came, including relatives; there were seriously 6 people in attendance, including myself. We would have been better off going out to lunch, like I originally suggested. I wish I'd stuck to my guns about what I wanted, rather than participating in an empty ritual and format that my family and friends were more comfortable with. Learn from my mistakes; don't compromise yourself this way! My friend was the "traditional" bride, but I am not a "traditional wedding" type. So throwing a "traditional" shower was painful and confusing. However, she loved it so no complaints from me. The one thing I got in was I sent recipe cards I made with the shower invites. I collected them at the shower (some were mailed back to me from her far-away relatives) and I made them into a cookbook for her that I handed over to her on her wedding morning when we were all together getting ready. One thing I would like to point out is where Bridal Showers come from. I actually did look this up. One theory is that the brides friends would put small gifts inside an umbrella, so that when she opened it she would be "Showered with gifts." Which, I think is adorable. I do agree that the modern idea of a bridal shower is far from only small gifts, and even the "small gifts" aren't so small (in cost or size). The kinds of things I would like for my bridal shower is really just spending time with people. I don't care about the games or the gifts. Just hanging out, enjoying some good food and good drinks and most importantly, good company and talk about marriage and what it is and talk about what it means, and to be able to express my love for those around me. A picnic in a park with a picnic blanket, and cute picnic baskets and champagne or wine would be ideal. If you have a Cinebarre or other bar & cinema venue near you, you could have mini-film festival there, or just a soiree in the lobby. Have a swap meet. People bring what they havent worn in a year. If you have a roller rink or paintball near you, that could be fun as well as mini-golf or a Frankie's fun park. or bowling. hell croquet and horseshoes, drink tea.